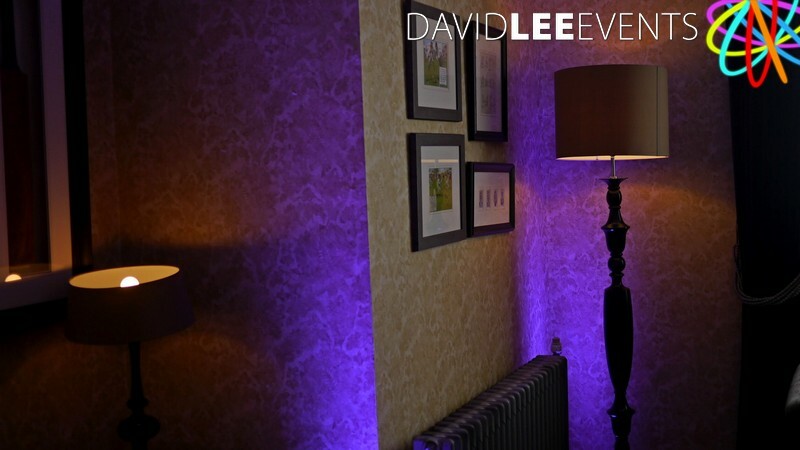 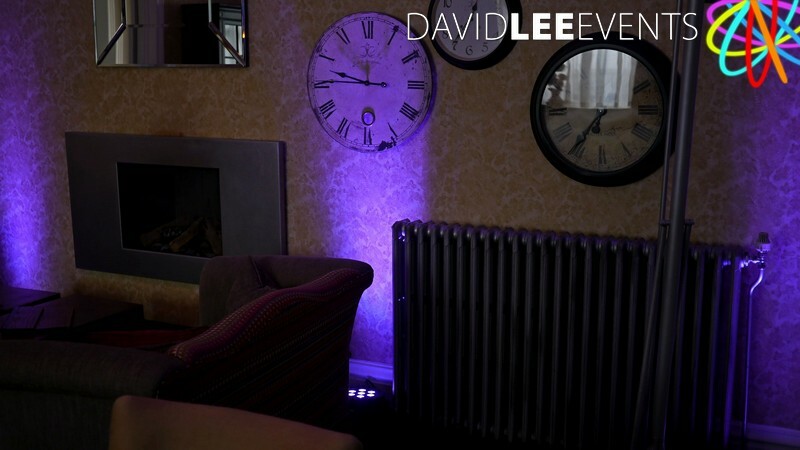 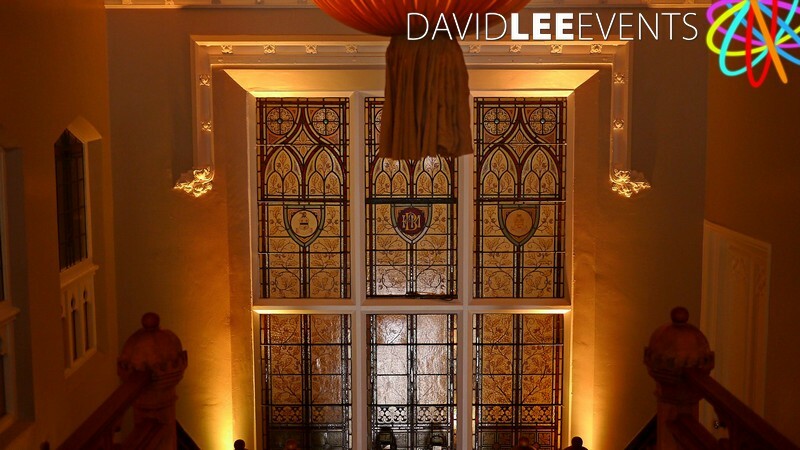 Didsbury House uplighting for a wedding in September 2016. 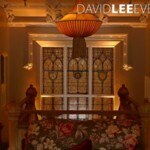 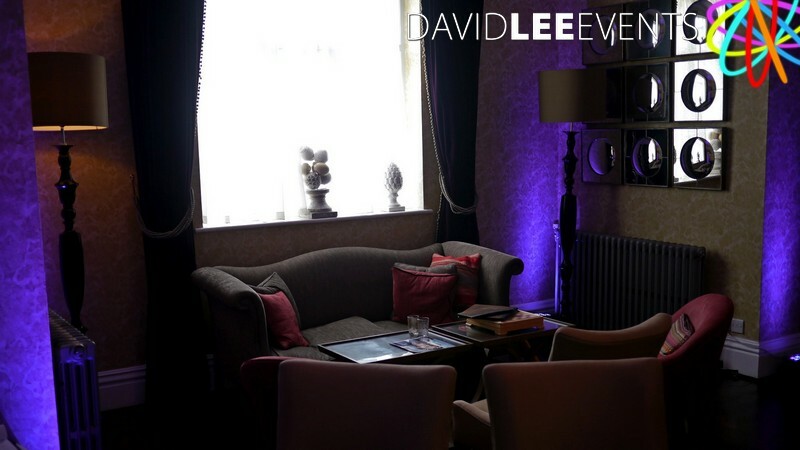 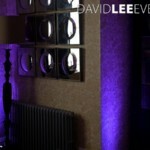 2 main areas for lighting was the lounge area which is turned in to the party room later on in the evening. 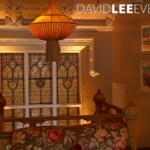 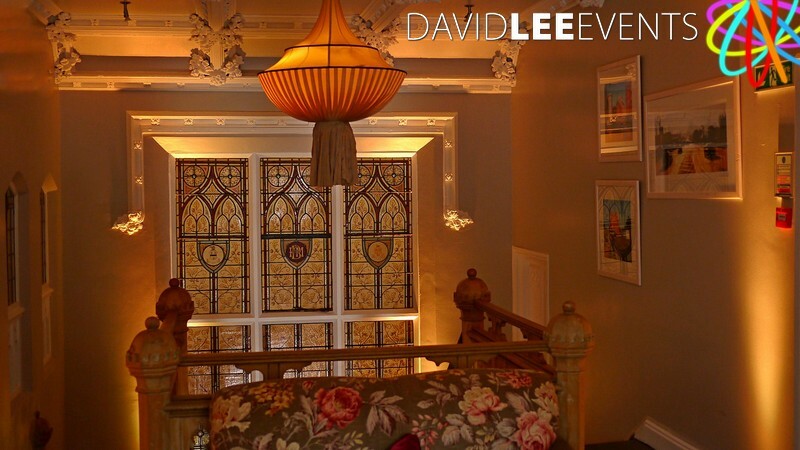 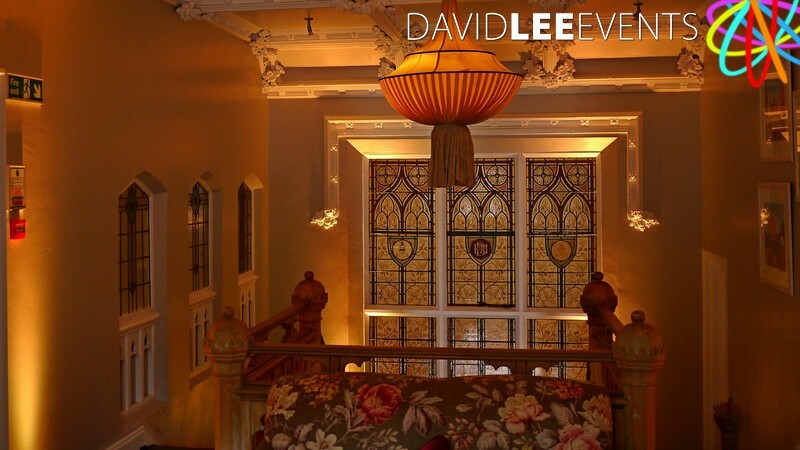 And the client also wanted the Stained Glass window at the top of the stairs highlighted. 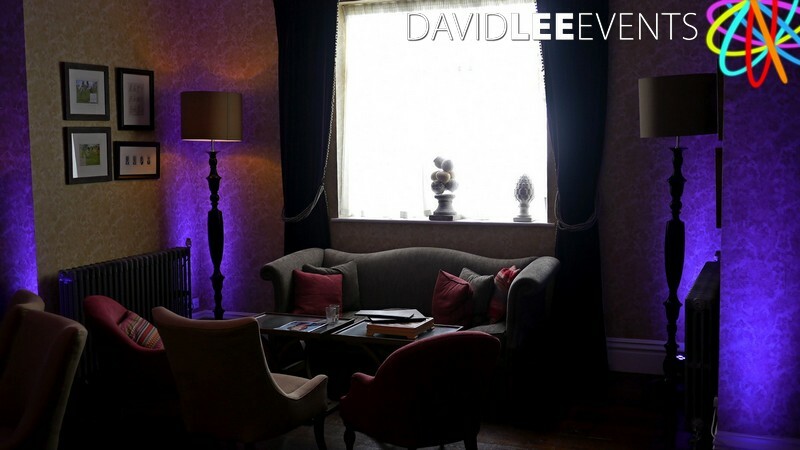 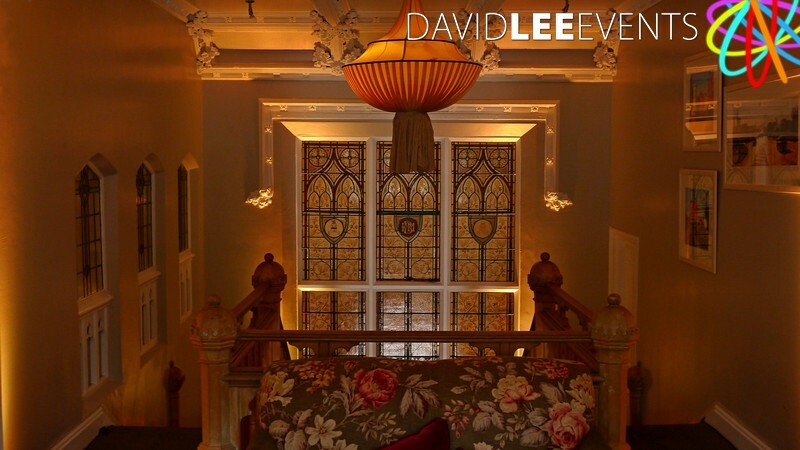 As the living room at Didsbury House is cosy – just like the hotel in general – there isn’t a lot of space. 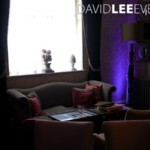 But that doesn’t mean we can’t put some mood lighting in, to make it more at atmospheric especially for the evening. 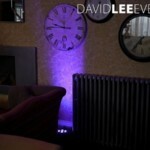 Placing the uplighters in the corners on 1 side. 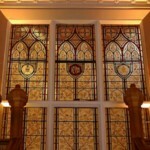 And along the clock wall on the other side. 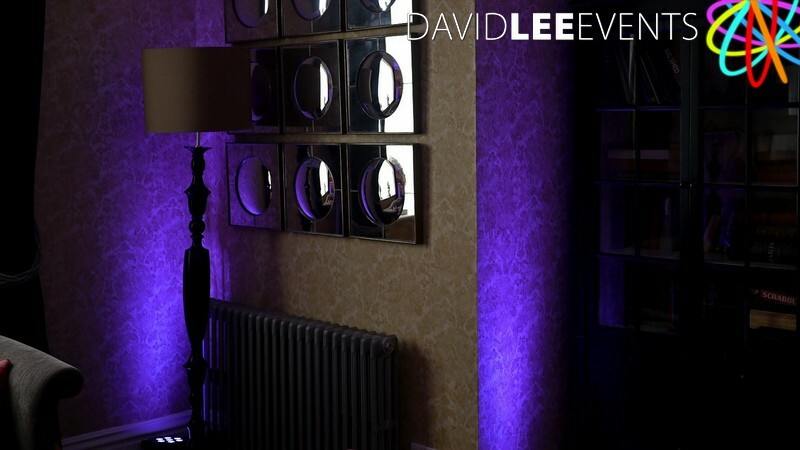 As I wasn’t DJ’ing on this occasion, i only have daytime images, but I hope you can see what a difference this make to the room. 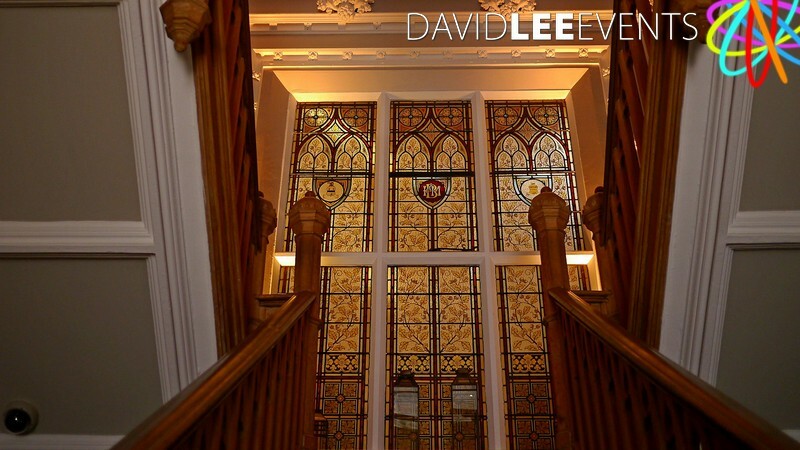 For such a small wedding venue, there is a rather large magnificent stained glass window at the top of the 1st flight of stairs. 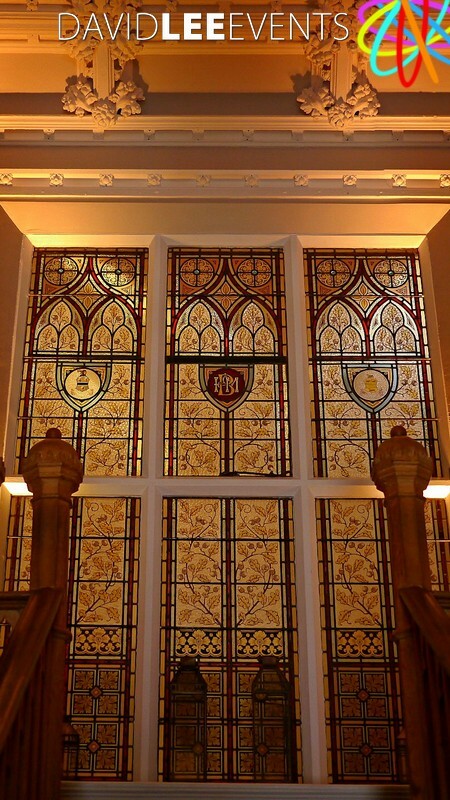 It really is a surprising but beautiful window. 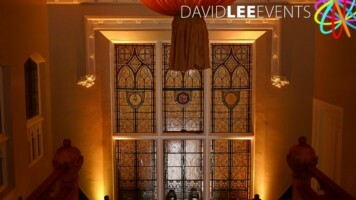 And the customer had decided they wanted to make a feature out of it for their special day. 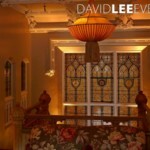 We installed some underneath the window, plus at the top of the stairs. 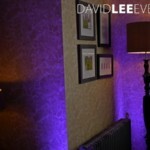 This helped carry the colour & atmosphere on to the landing.